Since my previous post was about Titanium wires, I decided to keep going with the subject and focus this post on the different type of wires used for vaping. If you are a novice coil builder who wants to try your hand at rebuildables, knowing the difference between these 4 types of commonly used wires for vaping will give you an idea of how to achieve what you want whether its more vapor and/or flavor. Having a basic understanding of how these wires work will help you in choosing the right one for your builds. Whether it’s for more vapor or better flavor, my intention in posting this article is to show you what type of wire to use. Most importantly, I’d like to emphasize on the basic safety measures when using each wire for the sake of your mod. Honestly, I don’t believe using these wires will cause your mod to “explode” in your face. I posted a story about an e-cigarette blowing up in a man’s face, but I highly doubt it’s authenticity due to the lack of details in its story. 1. Kanthal – Ahhh… Kanthal! This is the Honda Civic of coil building in my opinion: cheap, easy to use, and gets the job done. This is the starter vape wire. It’s easy to work with and can withstand high temperatures. Almost everyone has started off with Kanthal. It’s durable so you won’t have to keep replacing coils as often compared to the other wires. It’s also great to use for for coil building because of its elasticity as you can easily twist and braid. Kanthal is also the cheapest wire on this list, especially when you buy them by the spool. 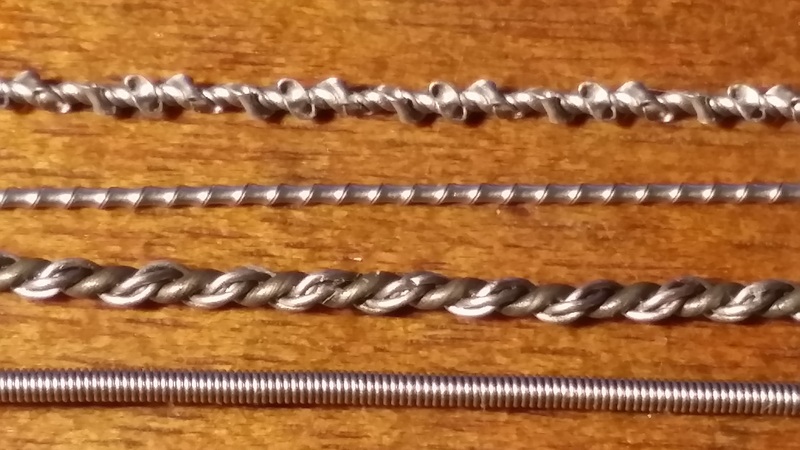 This gives a lot of wire for many beginner builders out there to practice with, and trust me when you are learning how to build coils you will need to go through a couple feet of wire before you can start getting a nice build. The only downside with Kanthal is it would probably be considered the “dullest” of the five. Don’t get me wrong, your e-juice will still taste great, its just that the other wires enhance certain flavor notes. Many users notice a difference in taste compared to Kanthal. It might not be the most flavor enhancing, but it sure is the most user-friendly and inexpensive of the group. 2. 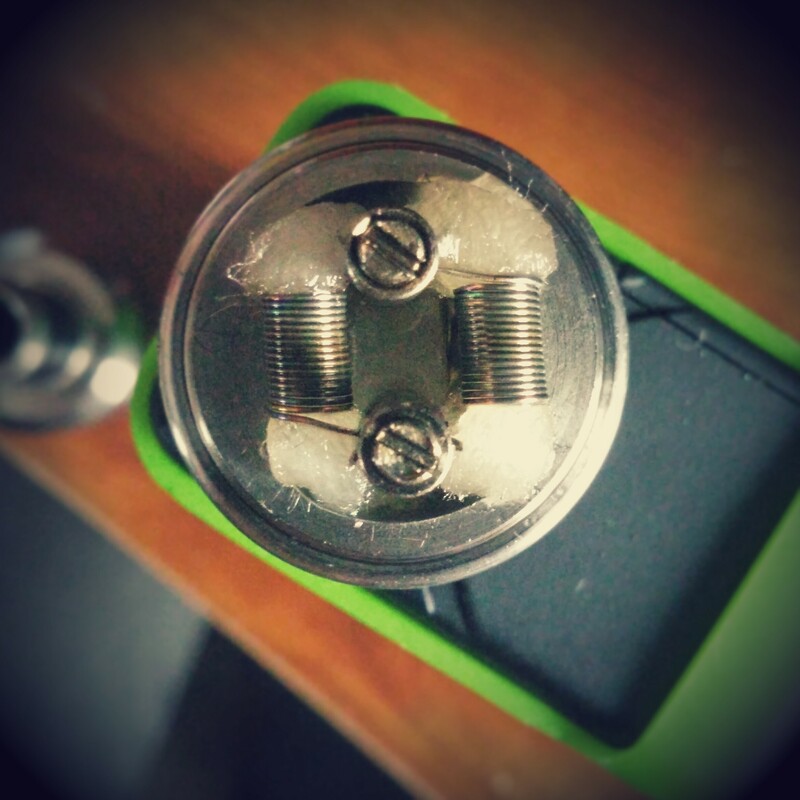 Nichrome – If you want to step up from Kanthal, then Nichrome would be your choice. The “advantage” Nichrome has over Kanthal is that it heats up faster giving you more vapor and flavor at a shorter amount of time you press your firing button. The nickel-chromium substance of this wire let’s it heat up at lower levels than Kanthal. With the absence of Iron, some people claim Nichrome to be cleaner to the taste. It is also a lot easier to twist and wrap, but less elastic. Nichrome is not to be played with an should only be handled by someone who has a good foundation and understanding of coil building. 3. Nickel – So we now know that Nichrome heats up faster than Kanthal, but Nickel takes the gold when it comes to the race of which wire heats up the fastest. Nickel has near zero resistance when it comes to heating making it super sensitive when heated up. This is blessing and its curse. Since its so pliable, it is also very vulnerable to melt when fired at a high wattage. This is why Nickel is more commonly used with Kanthal or Nichrome or requires more wraps than usual to prevent it from heating too much. 4. Titanium – Probably the most popular and advanced type of wire here on this list, Titanium works wonderful with the newer Temperature Control mods coming out. Titanium has the best of both worlds where it heats up fast, and cools down quick as well. 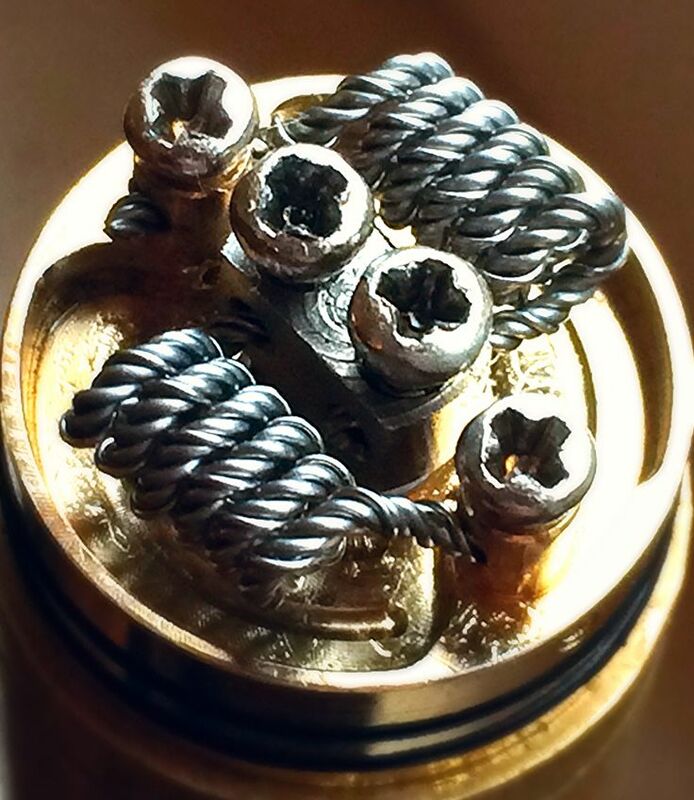 Vapers also claim this to be the best wire for flavor. Fans of Titanium coil builds note that the taste of their e-juice “comes out” which is another reason why these wires are gaining popularity. I did a more detailed post on how to properly and safely use Titanium wires for those of you who are interested. 5. Stainless Steel – last on the list is Stainless Steel or SS. Just like Titanium, SS does something else with the flavor. Users have reported that SS brings a certain “crisp” to e-liquid. Like the others on the list, it has a faster ramp up rate than Kanthal. Not only that, SS last the longest in performance among the others on the list. So I hope this little list gave you a better understanding of wires used for vaping. Remember to always be on the safe side when dealing with coil building. If you liked this post, check out my follow up post where I discuss what is the best wire for vaping out of the five! Hi bro, what about Stainless Steel (SS 316)? 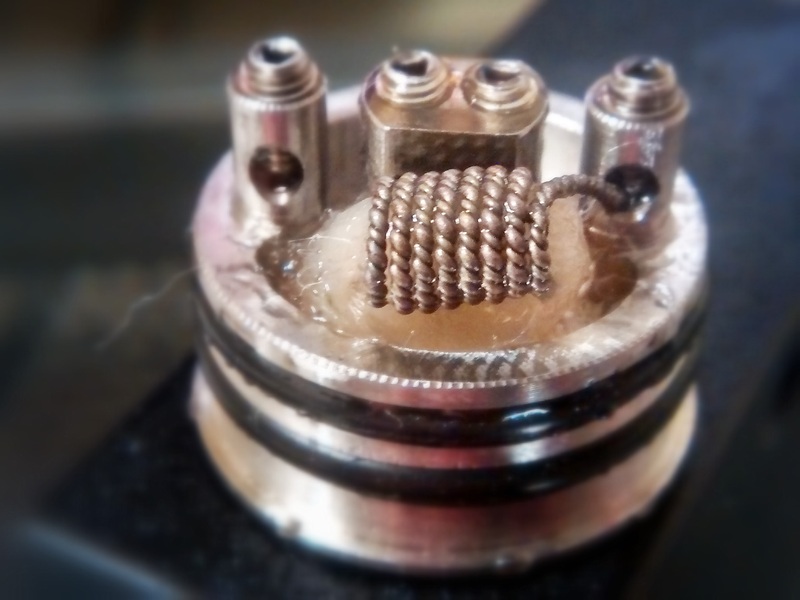 i saw my friend build one on snow wolf, and he test fire it before wicking, which the coil (SS 316 / 28gauge) instantly melt or more accurately bend down… is that why you didnt include stainless steel on the list? Hey bro, yeah honestly I haven’t read much about Stainless Steel. I have been hearing about it though and once I get more info on it I’ll be more comfortable writing about. Geez, it melted? How high was your friend’s wattage when he test fired it? Oh yeah, thanks for the sub bro. Vape on! Hey bro, I made the same wire that is at the top of the picture. I’ve been scouring the internet and asking everyone I can for the past few weeks, but no one seems to know what it’s called, do you?? I’ve been trying to figure that out as well bro since you asked me that question. Picture searches of this wire have come up empty. Maybe our readers can help with this question??? I dont remember how high was the wattage during that time. but for sure, my friend would not dare to use SS again.. 😉 anyway, i been reading your site this past week and i love it.. keep it up bro, and dont stop posting. I’ll keep trying brother, thank you for your support!!! Hello, I’m the owner of Advanced Vape Supply. We specialize in SS. To answer to your response, your friend had to of treated SS like Kanthal. This is a common issue we deal with. 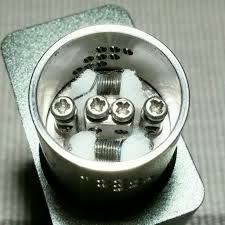 SS has a different preparation technique although very similar to kanthal. Most importantly it needs to be dry fired at 10-20w MAXIMUM. Anything over that can have very bad results. Once the hot spots are removed and the coil fires evenly you can crank up the watts. What happens is that certain parts of the coil will get hotter unless you do the dry burn at LOW wattage to get it firing evenly. So if you use too high of wattage during the dry burn, it only takes one hotspot to overheat and pop the wire. This is perfectly normal and once you know how to use SS its very easy and will beat any other wire on flavor and performance, all day, everyday..
As for this site, this was awesome to find, and I thank you (Mr. Long Drag) for linking us to your site! If you ever wanna chat you should shoot me an email! ss v2a is super for coil building. i use that and Kanthal to build my clapton wires. If using a regulated mod, it’s best to do test fires at low wattage to prevent melting. Start low, then increase wattage little by little. Thank you Charles for the input, I was told never test fire over 30 watts, especially for Nichrome. Should have mentioned that Nickel and Titanium are poisonous at high Temps and shouldn’t be used out if temp control. Hey Taylor, I did mention this in the second part of this post, thanks!